With stores all over the globe, the widely successful international fast-food chain, Wendy's, is looking to bring in more than just its brand of real and quality recipes to the Philippines. It's bringing in the world. These new products are super exciting! 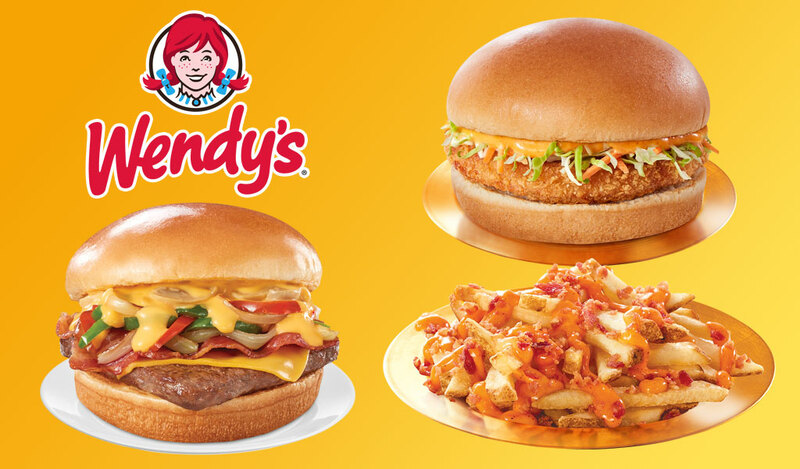 Wendy's Philippines has come up with an exciting array of offerings, inspired by the world's most celebrated flavors. 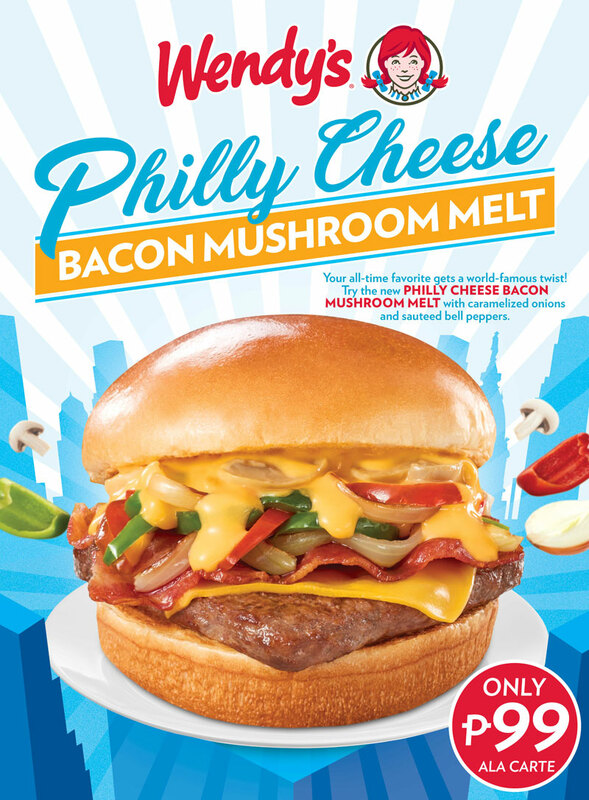 It’s not the first time that Wendy's Philippines is putting an exciting, international spin on the Bacon Mushroom Melt, its classic and best-selling burger. Last year, it went on a trip to Mexico and returned with a Jalapeño flavor surprise. This year, it's visiting the "City of Brotherly Love." From Philadelphia City comes a lip-smacking twist to the all-time Wendy's favorite Bacon Mushroom Melt. Taking the two key ingredients of the city's famed Philly Cheesesteak sandwich – crunchy sautéed bell peppers and caramelized onions – and mixing them with our signature mushroom cheddar sauce, crispy bacon strips, and 100% pure beef patty, the result is the new, mouthwatering Wendy's Philly Cheese Bacon Mushroom Melt. A trip of the palate to South Korea brings a delicious spin to the people's favorite Korean flavor. The choice side dish and ingredient of most Korean cuisine, the kimchi is also the flavor muse of the new Wendy's Kimchi products. Bite into meaty chicken fillet mixed with fresh slaw and rich and savory kimchi sauce with the Wendy's Kimchi Chicken Fillet. Wendy's natural cut fries are covered in thick and delectable kimchi sauce and crispy bacon bits with the Wendy's Kimchi Loaded Fries. Combined, the Wendy's Kimchi Chicken Fillet and Kimchi Loaded Fries are a delightfully tasty, incredibly filling, and satisfyingly affordable meal. Two delicious world destinations. Only one Wendy's Philippines. Experience an out-of-this-world flavor journey around the world. 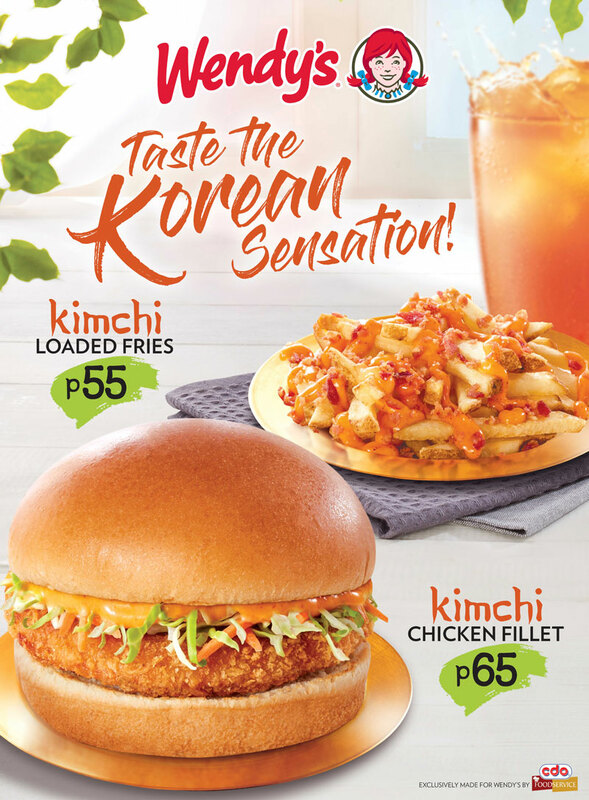 The Wendy's Philly Cheese Bacon Mushroom Melt is now available and the Wendy's Kimchi Chicken Fillet and Kimchi Loaded Fries will be available on May 19, 2017 in all branches.